Description: Maj. Gen. Sterling Price’s Army of Missouri was headed west towards Kansas City and Fort Leavenworth. Maj. Gen. Samuel R. Curtis’s Army of the Border, in and around Westport, was blocking the Confederates’ way west and Maj. Gen. Alfred Pleasonton’s provisional cavalry division was pressing Price’s army’s rear. Price had nearly 500 wagons with him and required a good ford over the Big Blue River to facilitate the passage of his supplies. Byram’s Ford was the best ford in the area and became a strategic point during the fighting around Westport. On October 22, Maj. Gen. James G. Blunt’s division held a defensive position on the Big Blue River’s west bank. Around 10:00 am on the 22nd, part of Brig. 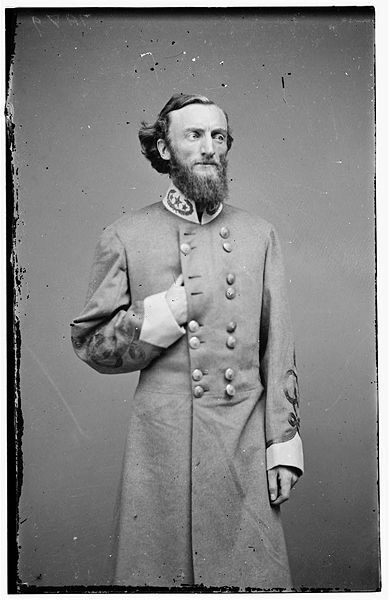 Gen. Joseph O. Shelby’s Confederate division conducted a frontal attack on Blunt’s men. This attack was a ruse because the rest of Shelby’s men flanked Blunt’s hasty defenses, forcing the Federals to retire to Westport. Price’s wagon train and about 5,000 head of cattle then crossed the Big Blue River at Byram’s Ford and headed southward toward Little Santa Fe and safety. Pleasonton’s cavalry was hot on the tail of Price’s army. Brig. Gen. John S. Marmaduke’s Rebel division held the west bank of the Big Blue at Byram’s Ford to prevent Pleasonton from attacking Price’s rear. Pleasonton assaulted Marmaduke at Byram’s Ford, around 8:00 am, on the 23rd. Three hours later, Marmaduke’s men had enough and fell back toward Westport. With Pleasonton across the river, he was now an additional threat to Price who was fighting Curtis’s Army of the Border at Westport. Price had to retreat south. 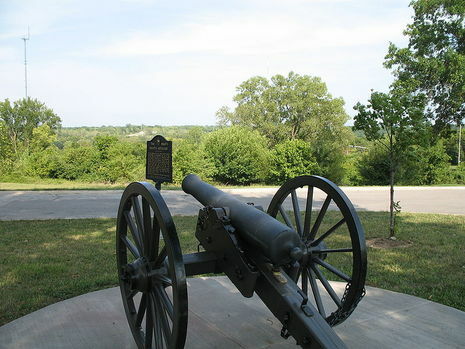 The Battle of Byram's Ford was a minor engagement of the American Civil War, comprising two separate skirmishes on October 22–23, 1864, in Jackson County, Missouri. It formed a part of the larger Battle of Westport, which ultimately resulted in a Union victory and the end of all major Confederate operations in Missouri. Maj. Gen. Sterling Price's Confederate Army of Missouri was headed westward towards Kansas City and Fort Leavenworth, hoping to capture Missouri for the South and negatively influence Abraham Lincoln's chances for reelection in 1864. Maj. Gen. Samuel R. Curtis's Army of the Border, in and around Westport, was blocking the Confederates' way west, while Maj. Gen. Alfred Pleasonton's provisional cavalry division was pressing Price's rear. Price had nearly 500 wagons with him, and required a good ford over the Blue River to facilitate passage of his supplies. Byram's Ford was the best crossing in the area, and would clearly be a point of great strategic significance during the impending Battle of Westport. On October 22, Maj. Gen. James G. Blunt's division held a defensive position on the west bank of the Big Blue River. Around 10 a.m., part of Brig. 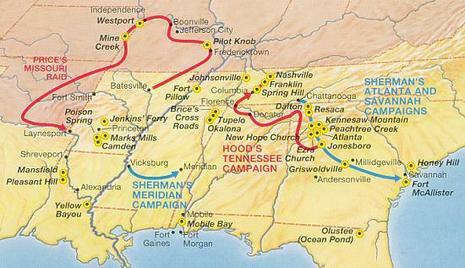 Gen. Joseph O. Shelby's Confederate division conducted a frontal attack on Blunt's men. This attack was a ruse, because the rest of Shelby's men flanked Blunt's hasty defenses, forcing the Federals to retire to Westport. Price's wagon train then crossed the Big Blue River at Byram's Ford and headed south to the village of Little Santa Fe and safety. The Battle of Westport began in earnest on the morning of the October 23. Pleasonton's cavalry was hot on the tail of Price's army, having engaged his rear guard in nearby Independence the previous day. Brig. Gen. John S. Marmaduke's Confederate division had stopped Pleasanton just west of Independence, and now held the west bank of the Big Blue at Byram's Ford to protect Price's rear from an expected Union attack. Pleasonton began his assault on Byram's Ford around 8 a.m. Initially the Confederates held their own. 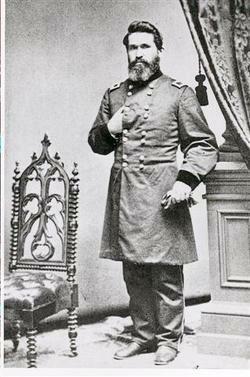 One of the Union brigade commanders, Brig. 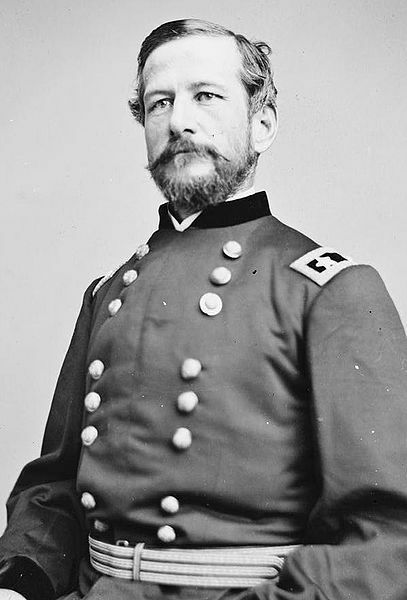 Gen. Egbert B. Brown, stalled his attack and was placed under arrest by Pleasonton for disobeying orders. Another of Pleasonton's brigade commanders, Col. Edward F. Winslow, was wounded and succeeded by Lt. Col. Frederick Benteen, who later rode to fame at the Little Bighorn. Despite these setbacks, Federal troopers gained the west bank by 11 a.m. and Marmaduke retired. As Brown's brigade (now led by Col. John F. Philips) forded the river, they came under heavy fire from Confederate artillery. Once they had crossed, they charged Marmaduke across an open field; during this charge, Union troops from Missouri and Arkansas battled Confederates from these same two states. As Marmaduke rejoined Shelby and Fagan, Blunt pounded the consolidated Confederate forces with his own cannon, completing Pleasanton's victory at Byram's Ford and contributing significantly to Curtis's larger triumph at Westport. With Pleasonton now across the river he was now an additional threat to Price, who was heavily engaged with Curtis's main force at Westport. 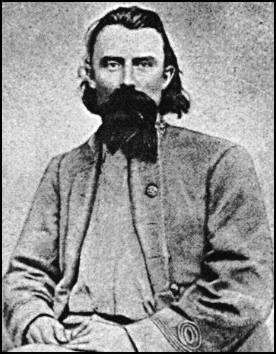 Defeated by Curtis there and menaced by Pleasanton and an additional Federal brigade under John McNeil, Price had to abandon his Missouri campaign and retreat southward. This brought to a close the last major Confederate military operation west of the Mississippi River, and ended the last major Southern threat to any Northern state.